Wear your pride from the street to the beach with these White Rawlings Leather Mens Flip Flops. These Mens Flip Flops feature a embossed Rawlings logos, red baseball stitch and an authentic red Rawlings tag. The comfortable and lightweight design make these the perfect everyday sandals. Rawlings has a deep history of providing quality gear for baseball players everywhere. 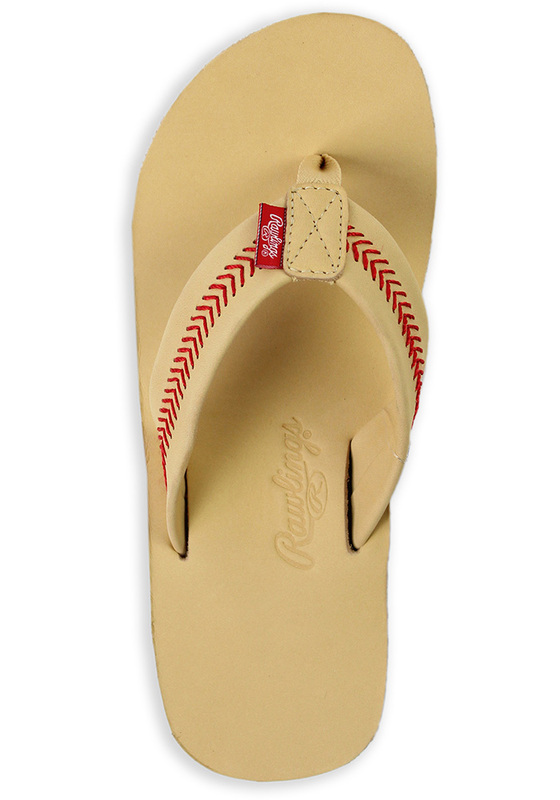 Wear a part of the game with these Rawlings sandals.